A brilliant business idea occurred to me Monday morning while getting ready for work (which is when all random, sometimes lightning-like inspiration seems to hit), and I couldn’t figure out a better way to share it with the world and still keep intellectual property rights to it other than here. Because while I am NOT a business genius, a math whiz, or a market specialist, I am a foodie and a public relations expert, and sometimes it takes someone exactly like me to spot a natural synergy in the marketplace (check out that disgusting corporate speak!). Dried spices, rubs, and spice blends are some of the easiest ways to make healthy, low fat foods taste amazing. As we all journey towards healthier diets, using more fresh produce and fewer fats, fun and exotic spices are natural tools in the kitchen. 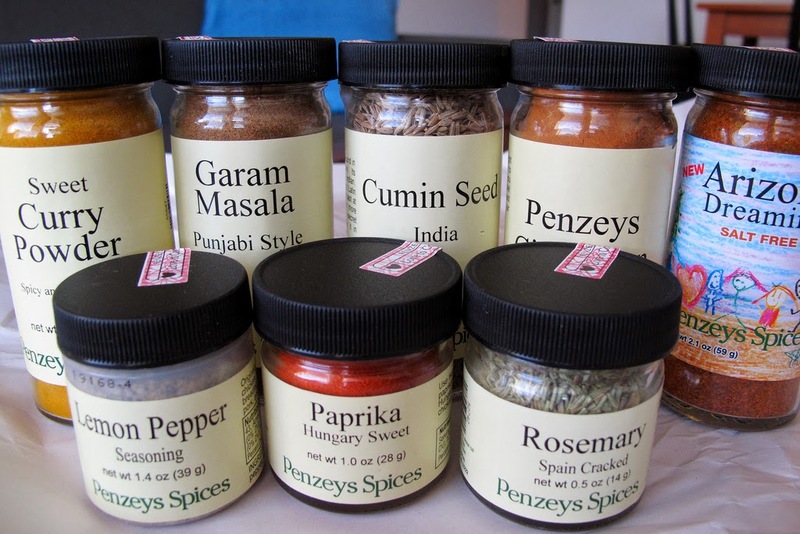 I have been buying my spices from Penzey’s for years. And so do a lot of the top cooks in our country, including Rachael Ray and Kevin Gillespie, so you know I’m not just whistling Dixie Crystals. There are a few reasons Penzey’s has it all over the McCormick jars you find in the grocery store. For one thing, you can choose the size you order, on every spice. So the first time you order something new to you, you just order ¼ cup, and it doesn’t go bad while you’re trying to figure out if it’s essential to your kitchen; if you don’t like, you’re only out a couple bucks. 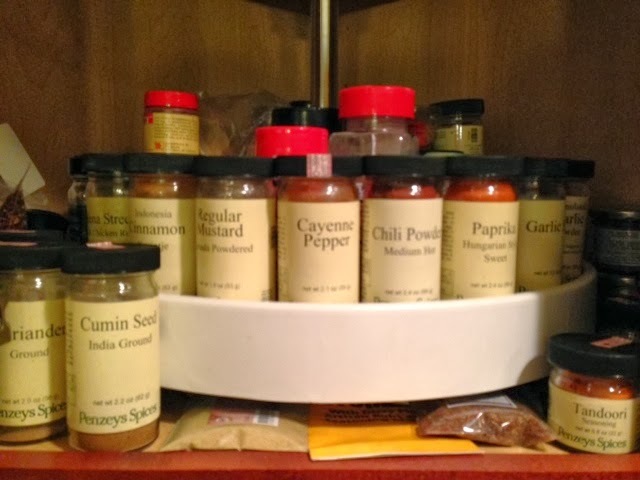 In the store, there are a couple sizes of the most often used spices, but they don’t have room on the shelves to give you that option for things like z’atar and smoked paprika. You’re stuck with the ½ cup glass jar, and it’s all pretty expensive. Penzey’s is cheap because they’re stocking everything in bulk, and then decanting your order when you place it. Two other bonuses: insane quality and enormous selection. The downside to stocking my spice cupboard exclusively with Penzey’s fabulous wares is that, in a pinch, if I need something that day, I’m forced into buying it in the store. And that is where my idea comes in. It comes as no surprise to you guys that Wegmans is my favorite grocery store, and it occurs to me that while Penzey’s does have a few stores across the U.S., there are only five in all of New York State. 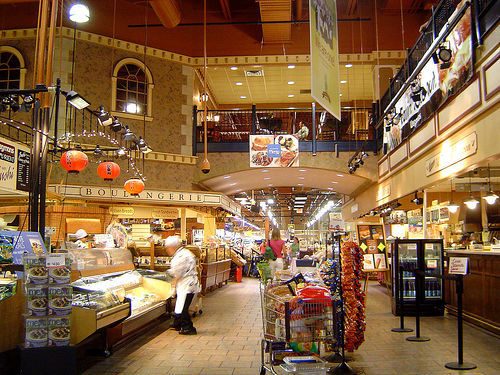 If I was someone in charge of such things at Wegmans, I would reach out to Penzey’s to form a unique partnership – to have a mini Penzey’s inside all of the bigger Wegmans supermarkets. 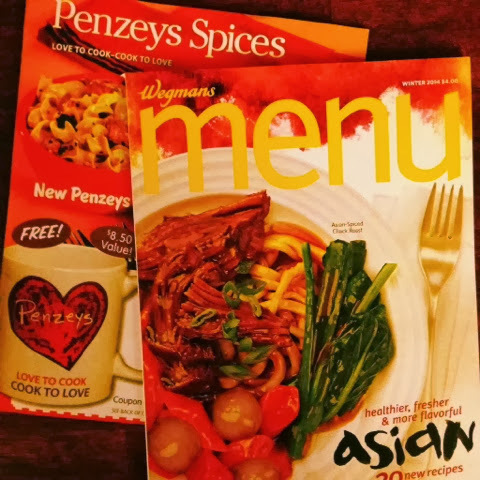 Doing that, Wegmans could stop carrying McCormick and Spice Islands, in order to differentiate themselves from all of their competitor stores that only carry those brands, and have exclusive rights to carry Penzey's. Just like the peanut better grinders and coco-puff puffers that make Wegmans special, this would be a real boon to the foodie crowd that comprises the chain’s rabid fans. And because Wegmans is now serving so many more markets than Penzey’s would be able to reach from a retail perspective, they will benefit by reaching millions of customers who never would know about them otherwise. I can see all kinds of cross-promotional opportunities, like Wegmans including recipes from Penzey’s fun catalogue in their monthly magazine, having spicy cooking demos in their liquor stores, and Penzey’s letting their Northeast customers know through their own catalogue that they can now grab a jar of Galena St. Rub on the fly at any local Wegmans. Because dried spices have so many health benefits, I can imagine Wegmans touting the partnership in all of its Foods You Feel Good About marketing as well. Just like you can buy DiBruno Brothers goods in some Philadelphia-area grocery stores, this relationship would give Wegmans shoppers unique access to one of the top gourmet brands in the world without waiting for pesky shipping. Of course, I would be happy to consult on the teaming agreement, should either company require my services. Or, I’d be thrilled to just be invited to the grand opening of the first Penzey’s inside a Wegmans! At least I would know my idea helped mankind. So consider this an open letter to both companies – get together, guys! Your foodie fans wish it so. Did you know that I share musings just like this all the time via my other social media channels? Yeah, I do. So, if you’re smart, you’ll join our Big Hungry Shelby Facebook page, and follow me @BigHungryShelby on Twitter and Instagram for more pics, recipes, and tales from my gastronomic wanderings. Your tummy will thank you. My personality is big; my hunger is bigger! I love me some Penzey's. It's almost time for me to order. Dispatch from SC: Aw Shucks!